Our dirt work crews can handle any size project quickly and effeciently and thanks to GPS technology it can be accomplished much more accurately than ever before. GPS technology also allows us to set our own grade stakes and create machine control files which reduces overall surveying costs. 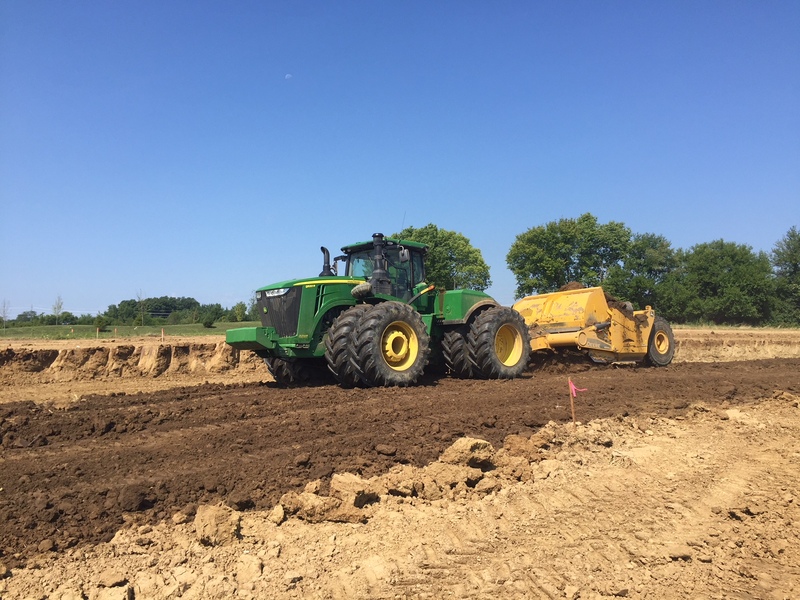 Earthwork can be highly varible, depending on ground conditions and weather, and our experience allows us to complete tough projects more effectively than our competition.